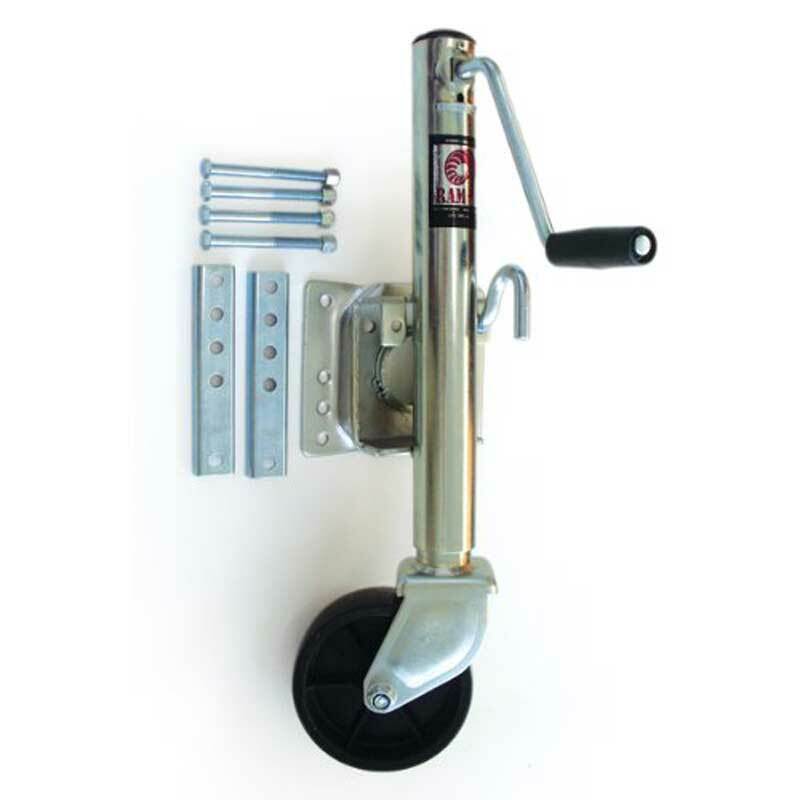 1200 pound capacity marine swivel jack features 1/2" large pull pin to activate swivel mechanism, large comfort handle, four-bolt pin through design for side load support, zinc finish, and mounting hardware. Universal bolt on design fits around 2", 3", 4", and 5" tall frames. Easy to roll with the built in 6" poly caster wheel.